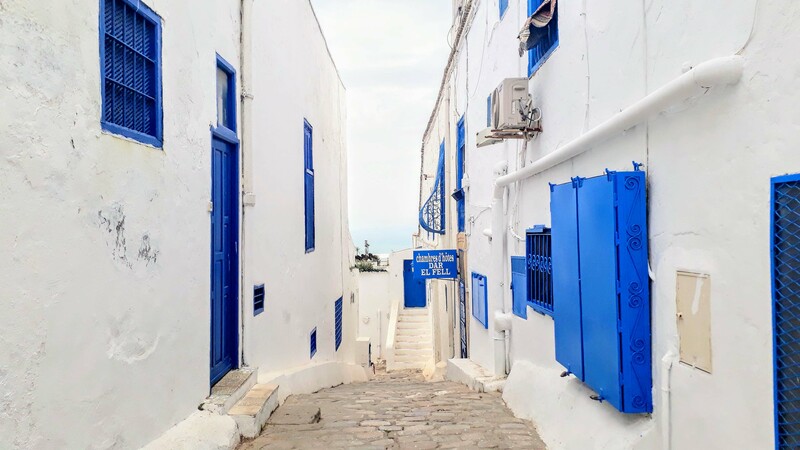 Even though Sidi Bou Saïd probably isn’t an insider tip anymore, the small town on Tunisia’s Mediterranean coast is still absolutely worth seeing. That’s because the whole village is kept in two colors. Whether church, shutters, awning, park bench or trash can: Simply everything is white and/or blue here. How the village was founded and how you get there, you will read here. Sidi Bou Saïd is named after the holy Abou Said ibn Khalef ibn Yahia Ettamini el Beji. Together with the marabouts (religious hermits) he lived in the village, which was formerly dedicated to religion. For in 1207, the mystic Abou Saïd Khalafa ben Yahia settled down to develop Sufism, a tendency of Islam. 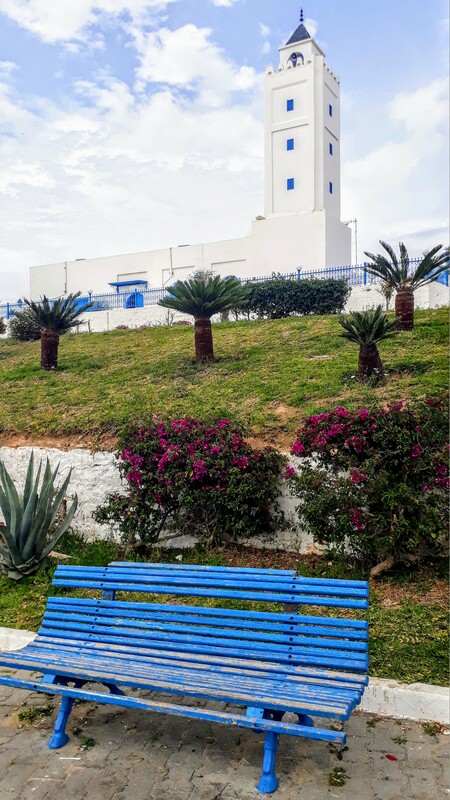 Since he was canonized after his death, the hill of Sidi Bou Saïd is revered as a holy place. Over time, the village image was shaped by the Moors and by the construction of some palaces. 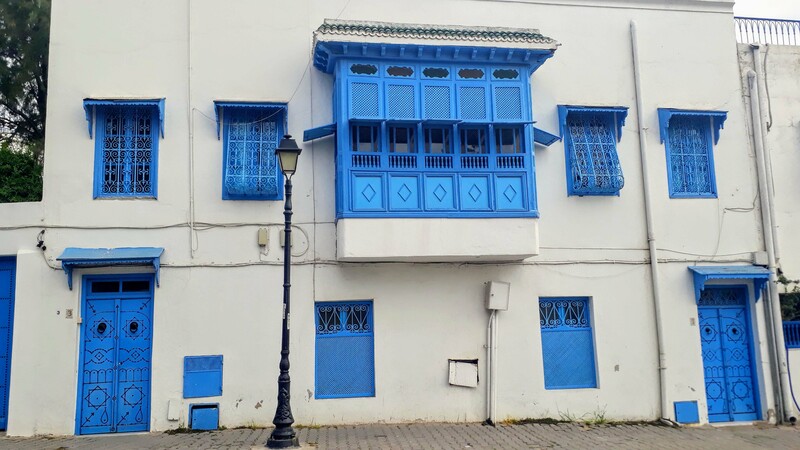 In 1915, the painter and music lover Rodolphe d’Erlanger achieved the monument protection for Sidi Bou Saïd. He was also the one who made happen the white-and-blue painting and the development of the village into a meeting point of various artists from the fields of fine arts, music and literature. The artists’ village is located only about 20 kilometers (12 miles) northeast of the capital Tunis. 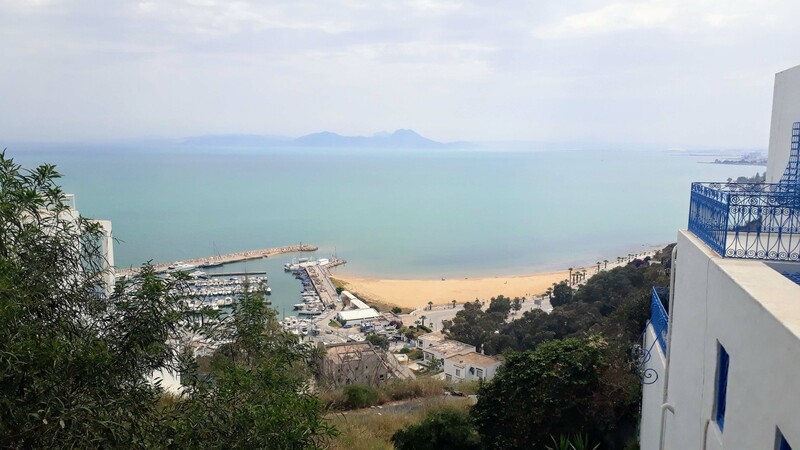 From there or the UNESCO archaeological site of Carthage, you can take the TGM suburban train line to Sidi Bou Saïd and back. A journey will cost you 1.09 Tunisian dirhams in the first or 0.68 dirhams in the second class and takes about 35 minutes from Tunis. 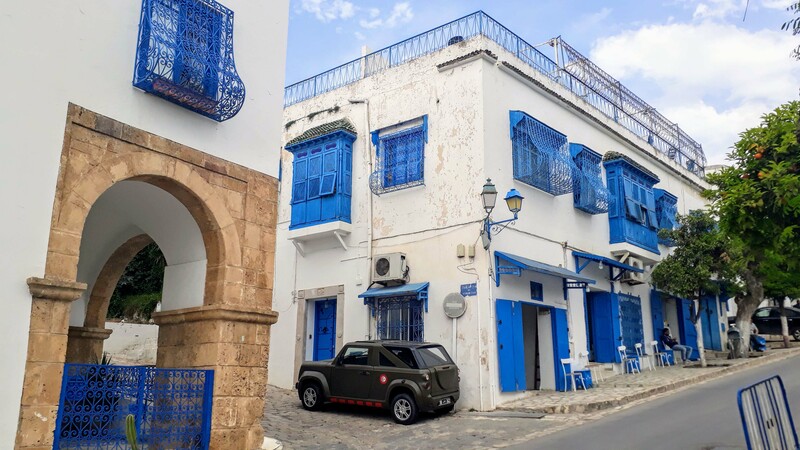 After the 6 stops in Carthage, Sidi Bou Saïd is the next stop. The train runs from 3:30 in the morning until 0:30 in the night. If you are coming from the center or central station of Tunis, you have to first take the metro line 4 to the terminus Tunis Marine and then change there to the TGM. The combined ticket for metro and TGM costs 1.90 dirhams.